Rocky is a lovable and friendly greyhound in urgent need of a home. 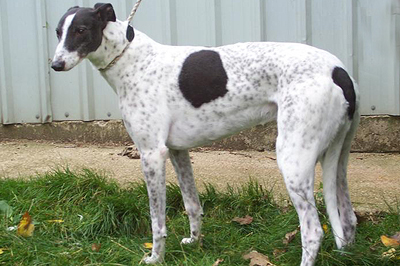 He has recently been returned to the Wisbech branch of the Retired Greyhound Trust after his owner had to move. Rocky would suit an older family as he is a rather quiet and gentle boy who very much enjoys some good walks and, of course, a couple of treats now and then! He has cataracts slightly so does get a little nervous in a place with lots of people he doesn’t know but he is very clean in the house and has been in a foster home with two other dogs in the past. If you are interested in the lovable Rocky please contact the Wisbech branch of the Retired Greyhound Trust on 01945 430311 or visit their website by clicking here.